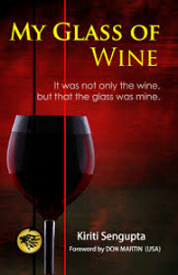 Kiriti Sengupta's book, My Glass of Wine defies categorisation! And it is not just because the book - a slender volume of some eighty-eight pages - is a matrix of personal recollections, philosophical musings, a mèlange of scattered images, memories and thoughts, but because in its open defiance to conform known generic categories, this David of a book challenges Goliaths of prose, poetry, poetic prose or prosaic poetry. There have been a number of people like Dr Sengupta who are professionally not allied to literature. He may have lost his opportunity to study Masters in Community Dental Practice, but he did - like IAS officer Mamang Dai or former RAW Director and IPS officer Keki Daruwalla or orthopaedic surgeon Amitabh Mitra - listen to the bidding of his Muse. And that is why this simple, humble, hard-working medical practitioner -who once wasn't even aware of Tagore's masterpiece, Sesher Kobita (The Final Verses) -pamperedhis pen and poured his 'heartfelt words' that became My Glass of Wine. 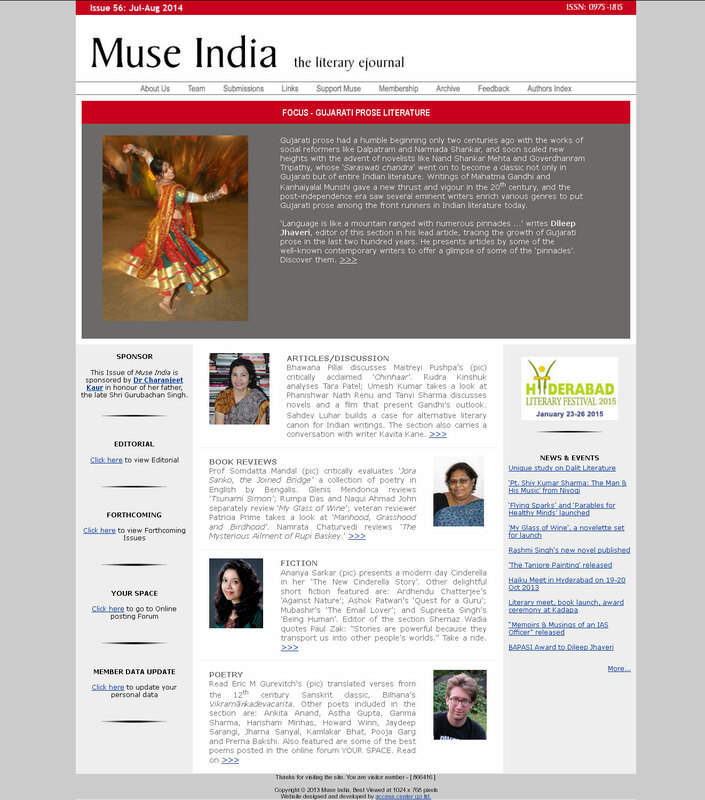 There have been quite a number of poets who are/were professionally engaged in apparently non-literary vocations, and though Dr Sengupta resists being tagged as an Indian English writer, it is a fact that more and more people from all walks of life are finding English and Indian English (Should we say Indish?) as an appropriate medium for articulating the pent-up poetry in their city-scarred souls. Dr Sengupta, no wonder, unburdens himself in his lines, serenely oblivious to the conventional dictates of form, terminology or genre! And why not? Why should a creator concern him/herself about the form, as long as the process of creation is cathartic? Why should a creative persona be bogged down by expectations to fit in? Why should the springs of poetry pause to ruminate which pre-charted course it should take? And so, My Glass of Wine intoxicates as it progresses through different sections - As I Traversed, My Glass Of Wine, My Sister's Bhaiyya, Southern Affiliation, Rains, Clips, My Master and The Cover - till the beaded bubbles overflowing at the brim brush past the readers' sensibilities and very covertly announce the book's objective - Why the nomenclature? Why the glass of wine? However heady it might sound, Dr Sengupta's book is not about vineyards, wine, intoxication, or 'Bacchus and his pards' as Keats remarked in his celebrated Ode to a Nightingale. Rather, in this book of poems, the first taste of wine one has is of the divine blood of the Sacrament, followed by the alcoholic beverages that are an intrinsic part of tantric rituals, and the last part deals with the Islamic ritual of oblation - the Qurbani which blends vignettes of sacrificial blood, impassioned chants, deafening shrieks, alcohol-induced hypnoses, orgies of power! The religious element associated with the wine effectively annihilates any prosaic or profane connotation, though poetry has, since time immemorial, been linked with wine and/or women. In Kiriti Sengupta's book, wine is divested of any irreverent associations and women too exist only in reverential roles -ashis sweetheart (as he talks about fondly of his wife), mother (his mother being his initiator to the magic world of the English language), his sister or a woman-friend who was intent on getting him baptised. In the poems penned down by Sengupta, one comes across different faces of womanhood, all of them respectfully etched. The final section on 'My Master and The Cover' is clearly the pièce de résistance in this volume of poems. And it is here that Sengupta talks of the supreme among all woman-forces -the mother energy called Kundalini that, once awakened, ascends through Sushumna Nadi that is located between the Ida and the Pingala - a philosophical revelation that his master, Dr Ashoke Kumar Chatterjee initiated through the austere practice of Kriyayoga. Enunciated by Yogiraj Shyamacharan Lahiri, the doctrine of Kriyayoga reveals how 'the aspirant is able to taste the rich nectar wine that is said to be secreted from the cerebral region'. Sengupta juxtaposes this ardent belief that buoys up his existence with the cancer of moral corruption that threatens contemporary society at large - murders, rapes, betrayals and dishonesty in every aspect of life. In a question which this reviewer posed to him on the event of his book-launch, whether he believed that today's readers whose sensibilities are gradually being desiccated by the global threat of corruption can respond to his therapeutic spiritualism, Sengupta confidently asserted that he believed that if he could rise, so could the teeming millions. In what reads like a stroke of celestial coincidence, Sengupta reveals how his cover-designer's illustration came to be an exact replica of his own abstract conception of spirituality that he aimed to represent, and like the poet himself, the designer too refused to elucidate much on his handiwork. Keats once said famously, 'If poetry comes not as naturally as the leaves to a tree it had better not come at all.' For Kiriti, poetry comes naturally as does the prose pieces accompanying his poetic effusions. Interestingly, this is his third poetic foray, the earlier two being The Unheard I and The Reciting Pens. Here, in this book that combines memoir, autobiography, non-fictional prose and poetry, Kiriti's unheard 'I' is articulated; his pen starts reciting the music of his soul, the music the soul imbibes from his intimations with spirituality, with nature, with people, with the universe that he perceives. Kiriti Sengupta's book is a bricolage that reveals as much as it hides; like the poet, the reader too becomes a bricoleur who responds to the myriad hues of the creation in his unique way. The reader and the poet coalesce; the poet's intuition merges with the reader's perception, and My Glass of Wine has its desired effect. Through the slice of my sigh. its distortions, its queerness all mine, mine alone." "If you want to speak in English, you need to think in English first." To the surprise of many, ShabanaAzmi happens to be a major influence on Kiriti. Frankness of approach is something which forms an intersecting ground between Kiriti and Suhel Seth another impact factoring his creative genius. "My Glass of Wine" is an output of Kiriti's heartfelt emotions and desire for self-expression. In the introductory chapter Kiriti articulates some of his guiding principles: informing, inspiring and guiding people into action. He prefers to sum this up as "community approach." He draws this underlying architectonics of approach not only beneath his professional but creative endeavours as well. Wellbeing of the society turns out to be one of the key considerations with him. He is generous enough to serve his personal emotion on a platter which may turn out to be different things to different people like prose work, poetry and autobiography. I would here, rather keep myself from using bombastic technical concepts like "multivalence", but in the capacity of a reviewer, I find the purpose served when I say that I restrict myself from something. The fact remains that a strong temptation to do so lingers but I prefer to be guided by Kiriti's principle of "simplicity." I feel like lifting my hands in applause when I find the arduous task taken up by Kiriti: making poetry accessible and enjoyable. In doing so Kiriti falls into the league of the spiritual heir to Wordsworth who left no stone unturned to democratize poetry. In the first chapter the readers are mellowed by Kiriti's personal touches: encounter with literature, coffee house, girlfriend, courtship and marriage. In an apparently simple manner he takes on very serious themes. Humour remains intrinsic and ShesherKobita lingers to the titilators of the readers even after days of having read My Glass of Wine back to back. ShesherKobita an enigma for the author enhances his commitment not only to his lady in love but also to literature his second love or may be the first; it is upto Kiriti to decide. "Poetry delivers. Poetry communicates. Poetry bridges up. Poetry inspires. Poetry invokes. Poetry provokes. Poetry enlightens. Poetry illumines. Poetry heals. And through all these facts poetry may entertain its readers finally." One can only revel at the enormity of Kiriti's ideas and simplicity of his style. The succinct poetic line "consumption" sums up the chapter very creatively and prods the readers into reading more and more. The second chapter of My Glass of Wine takes the readers on a spiritual sojourn and justifies the little of the book. Religious affiliations which at times transcend into a - "much ado about nothing" and "dire offence" has been related to with much ease and broadness of approach. A community based approach always strikes a chord with Kiriti. In his spiritual adventure too what impress him the most is the congregational prayer sessions. When he approaches the priest with a childlike faith for blessings for his sister he attains the desired end. The loud prayer in his own words was "mind boggling". Rising above ritualistic tantrums Kiriti is well advised to get spiritually baptized first. To his desperation he does so and finds a sea of change: "unique sensation". Kiriti's success as a writer and a communicator lies in the fact that he produced, at least with me, a similar change, a similar sensation. Transcending beyond the narrow religious nomenclature Kiriti identifies the significance of red colour in all the major religious of the world and leaves a spiritual effect. However, Kiriti falters in relating to the Islamic practice of qurbani. The word itself means "sacrifice". It is the tradition of animal sacrifice and has nothing to do much with relating blood and scream to prosperity, energy and vigour. Unmindful of getting into any controversy he questions the relevance of relating god to worldly things. However, any spiritually elevated person leaves behind a trail of questions so does the author Kiriti. In his poem "Blood Related" he elevates blood into an extended metaphor, an accomplishment in itself. After having traversed through the difficult terrains of spirituality Kiriti takes a dig on the word "Bhaiya" and creates his own brand of cozy humour. He exploits the difference in the meaning of the word "Bhaiya" his childhood name in two different languages of India. His sweep tends to be cross cultural and he articulates his discerning mind which points out that no person in the Christendom is named after Jesus. While many in the Hindu religion are named after gods and goddesses. How very true he is in pointing out that religions have left profound mark on the Indian psyche however, they have almost failed in altering their behavioural pattern. Perhaps Kiriti tries to hint at the un-godly use of god in India which is very rampant, he further plays with the letters of the word "name" and engineers it to compel us to understand things based on certain assumptions which do not seem very convincing. However, his poetic thesis in name is quite a considerable exhortation in itself. He emphasizes the spirit behind names which are but codes of ideas. In Southern Affiliation, the fourth chapter of the book Kiriti relates to the myth from the Mahabharta and Arjuna'sVisvarupDarshana. This was during a professional workshop where the concept of systemic disease was related in the light of literature. The joy, excitement, culture and traditional values of Chennai generated a longing in him and his southern affiliation. The theme of professional ethics running into his literary endeavours is a reassertion on Kiriti's part. To buttress his southern affiliation further, he acknowledges the contribution of Mr. AtreyaSarmaUppaluri who encouraged and inspired him in his literary endeavours. "loving someone is indeed a wonderful experience that enables you to feel your loved one inside you. Falling in love is arresting indeed." For him conception is the keyword in the tune of love. Relating further to his peculiar penchant for shoes Kiriti talks about an eventual training in creative writing. He asks his son Aishikk to write an essay and throws hints at him and generates a sense of competition by accepting to write a poem by the time his son finishes writing an essay. end with the mark of sigh." Further, I would fully conquer Kiriti's view that it is our basic poetic instinct that makes us write wonderful short messages. The last chapter "My Master" and the cover appears a sequel to his Spiritual Sojourn: My Glass of Wine. It explicates Karamyoga and also pays rich tributes to his spiritual guru. In the concluding lines the author Kiriti raises certain valid concerns which are but the maladies of the contemporary age and modern lifestyle. He verily makes a point for turning back to our souls and spirits intact. In this chapter Kiriti's thesis is looking within with open hearts and active brains to reach beyond the humanly plane to discover the god within. My Glass of Wine offers much food for thought. This experimental book besides attempting to popularize poetry in my opinion, encourages the habit of reading and trying hands at creative writing too. Stimulating imagination backed by ideological reasoning has been beautifully demonstrated by Kiriti through his rumination on the cover design. Within the confines of time and space the author articulates his love, adventures and certain peculiar experiences with much success and to great effect. At the end I would like to call "My Glass of Wine" an extended metaphor.